The international beauty industry has always had one fundamental objective: to make the skin appear younger, healthier, and revitalized through the combination of cosmetics and skincare. As the industry continues to evolve, more and more consumers are beginning to understand the difference between his or her skin appearing healthy, and actually becoming healthier. Naturally beautiful skin is the result of a wholesome lifestyle – adopting an organic and antioxidant-rich (low sugar) diet, drinking plenty of water, getting adequate sleep, partaking in routine exercise, always using a proper SPF, and embracing a natural & clean skincare regimen. Making the transition to living a healthy lifestyle can be overwhelming (as it often involves breaking old habits and implementing new ones), especially when it comes to cleaning up your skincare routine. Universally, the skincare industry presents us with an endless amount of options – making it hard to choose the best products for our skin. In addition to producing effective results, what we put on our skin should be formulated without any toxic (or questionably toxic) ingredients. 1) Citrus & Kale Potent C + E Serum: With a consistency as light and refreshing as water (more similar to a toner or essence), this award-winning super serum delivers an incredible amount of concentrated antioxidants that minimize fine lines and wrinkles while visibly brightening and clarifying the skin. It is formulated with stabilized vitamin C, botanical ferulic acid, and a cocktail of antioxidant-rich fruit and vegetable essences that improve skin elasticity, increase collagen production, and reduce free radical damage by almost 50% in 3 hours after application. After cleansing the skin, I apply this after a toner, but before heavier serums and moisturizers. *Note: Due to the water-like consistency of this product, I recommend lightly massaging each drop into the skin one-by-one to avoid it running off your face. I apply roughly 4-6 drops (enough to cover the face and neck) after using a toner, but before using a heavier serum. I treat this serum in the same fashion as an essence. 2) Marine Flower Peptide Serum: Formulated with botanical peptides, red and blue-green algae extract, and a proprietary smart collagen complex, this gel-like serum acts as a retinoid alternative that reduces wrinkles, facilitates cell turnover, protects against photo-aging, and boosts the production of high quality collagen for notably smoother skin. I apply this serum as an added barrier/water-locking layer after the Citrus & Kale Potent C + E Serum before using a moisturizer. This product is especially great for users with dry and/or mature skin. *Note: Studies have shown that algae extracts are highly comedogenic. This is not an issue for users who do not suffer from acne breakouts – however if you have acne-prone skin, I would recommend avoiding natural products that are formulated with algae extracts (as they can be highly pore-clogging). For those that suffer from breakouts, this product can alternatively be used on the hands (before applying a hand cream) to lock in moisture. 3) Rosehip Triple C + E Firming Oil: Out of any product I have ever put on my face, nothing smells as heavenly and botanically fresh as this. Rosehip, jojoba, and sea buckthorn oil hydrates and nourishes the skin while facilitating cell regeneration. Other botanicals infused in this light and fast-absorbing oil (such as rosemary leaf extract and milk thistle) ease inflammation and soothe the skin. After applying the Marine Peptide Serum and a moisturizer, I apply 4-6 drops of this to my face and neck in the morning and at night as the last step in my skincare routine. *Note: This nourishing aromatic oil is especially hydrating when applied to the hands. During the dry winter months, I apply 2-3 drops to each of my hands after using a hand cream and cuticle balm. 4) Marine Flower Peptide Eye Cream: This luxuriously rich and botanically aromatic eye cream delivers intense hydration to the eye area while visibly improving the appearance of wrinkles and dark circles. Unlike the Marine Flower Peptide Serum, this non-greasy peptide-infused product has a much thicker consistency – similar to a heavy night cream. I apply this around the entire eye area morning and night after cleansing and apply a toner, serum, and moisturizer to the entire face and neck. *Note: As with the Marine Flower Peptide Serum mentioned above, studies have shown that algae extracts are highly comedogenic and thus is not recommended for individuals with acne-prone skin. For individuals with acne-prone skin, I recommend avoiding natural products that are formulated with algae extracts (as they can be highly pore-clogging). 5) Lip Trio Kit: Comprised of a Citrus Enzyme Lip Exfoliator, Lip Comfort Plumping Masque, and Citrus Lip Balm – this 3-step system meets all of your lip care needs. The first step chemically and physically (via fruit enzymes, acidic botanicals, and ground walnut shell) exfoliates dull and dry lips in 5 minutes. After gently washing this off, step 2 deeply hydrates the lips via collagen-increasing peptides and pure shea butter – this is actually the single most hydrating and effective product I have ever applied to my lips! For very dry lips, this lip-plumping mask can be worn as an overnight lip treatment. Lastly, the petroleum-free Citrus Lip Balm (fortified with pluming peptides) locks in moisture. I use all three lip products on a daily basis as needed. *Note: If your lips are cracked/on the verge of bleeding from excessive dryness, forego using the Citrus Enzyme Lip Exfoliator (Step 1 of the lip care process). The acidity of this lip exfoliator will sting if it comes into contact with broken skin. For chronically dry and cracked lips, I recommend applying the Lip Comfort Plumping Masque as a heavy layer (leaving it on instead of wiping it off after 5 minutes) followed by the Citrus Lip Balm to seal the moisture in. 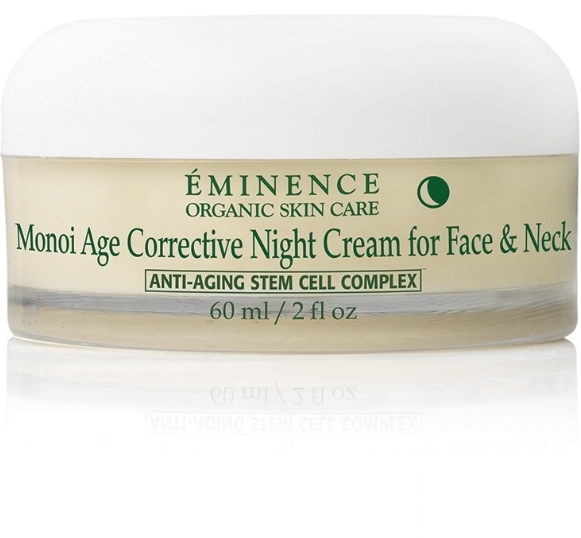 6) Monoi Age Corrective Night Cream for Face & Neck: For individuals with especially dry skin, this is the night cream for you. Formulated with an anti-aging stem cell complex of argan stem cells and nutmeg seed, this rich and creamy product improves the look of skin density while providing deep and long-lasting hydration. Tahitian Monoi oil adds a wonderfully light and fresh botanical aroma to the cream. I apply this as the last step in my evening skincare routine. For users with extremely dry and/or mature skin, applying a face oil 5-10 minutes after applying this product will lock in further moisture replenishing benefits. *Note: For individuals with oily and/or combination skin types, this night cream may be too heavy for face application. Alternatively, you could use this as a night cream exclusively for your neck, décolleté, and hands. Many individuals forget the necessity of a hand, neck, and décolleté skincare routine – this is a wonderful product to apply on these areas - regardless of your skin type. 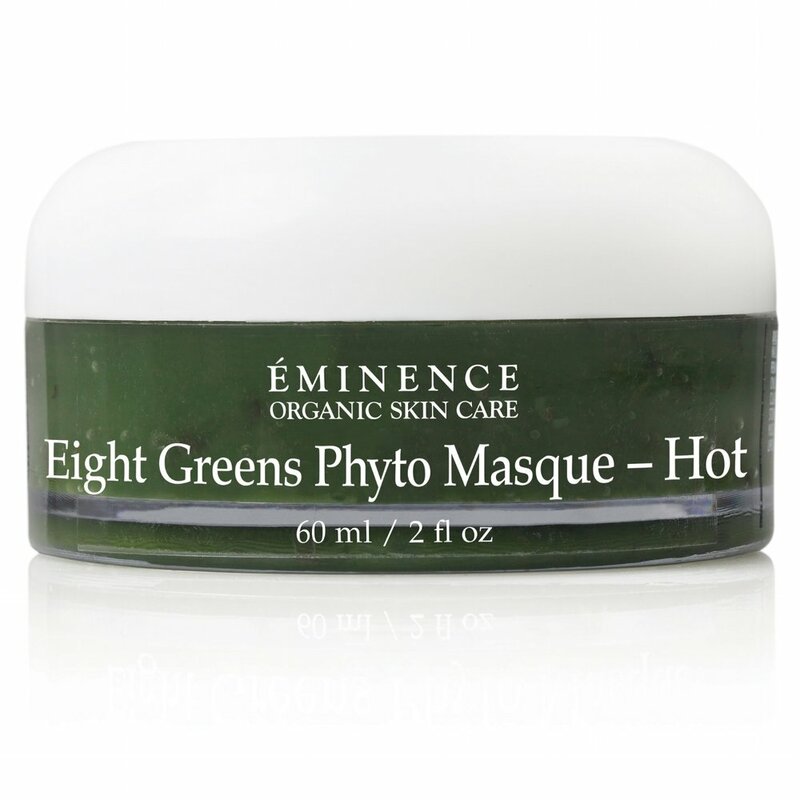 7) Eight Greens Phyto Masque – Hot: Within minutes, this green gel-based antioxidant-rich mask begins to tighten on the skin with an intense spa-like warming sensation. The unique blend of 8 botanical ingredients (fortified with Éminence’s Biocomplex2™) treats hormonal acne and stimulates collagen production while revitalizing aging skin. This product is especially great for those who suffer from hormone-related acne. Immediately after use, the face and neck is left noticeably more firm and elastic. Depending on your skin concerns, I would recommend using this mask 1-2 times per week. *Note: This product has a hot sensation, and left my skin red for roughly 45 minutes after washing off. For this reason, I would recommend using this in the evening before showering and retiring for the night. For first-time users, I highly recommend doing a patch test on the back of your forearm prior to applying this product to your face, neck, and décolleté to see how your skin responds. For users with sensitive skin, expect for the redness to potentially last longer. Regardless of the products you choose to try from this line, you will not be disappointed. More and more clinical research on the effects of applying unclean product formulations to the skin (both in the short term and long term) continues to become public knowledge – making the transition over to clean beauty less of an option, and more of a necessity. 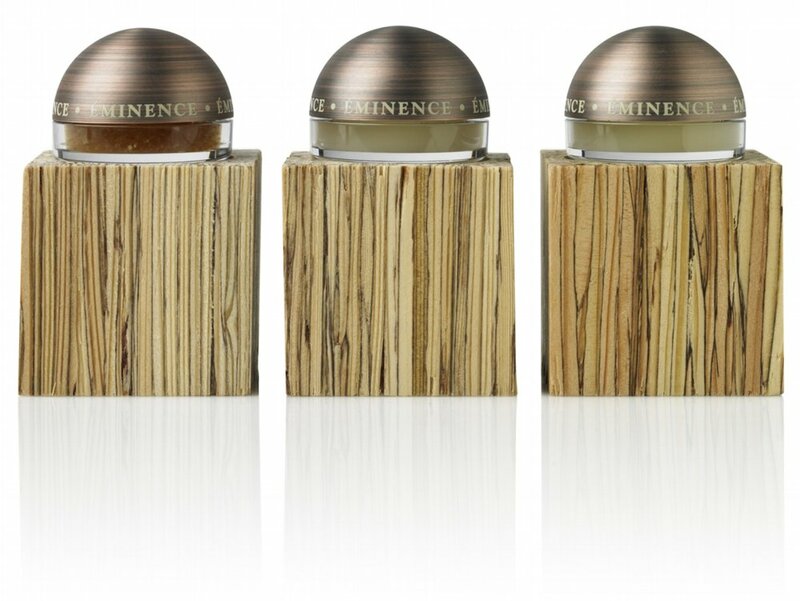 Éminence is where the future in skincare is heading. If you are interested in reading a review about a particular product from Éminence (or would like further information on the products reviewed above), please feel free to leave a comment below.